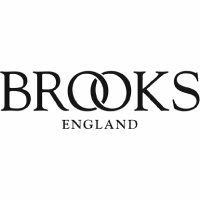 Proofide, tension spanner and cleaning cloth for your Brooks. This maintenance kit comes with a health warning. Overtensioning the nut can warp the saddle. Overproofing the saddle can make it too soft. Use the maintenance kit judiciously. Once or twice a year is usually sufficient tensioning and proofing for any saddle. The best care you can give a leather saddle is to keep it dry by covering it when it's left outside.